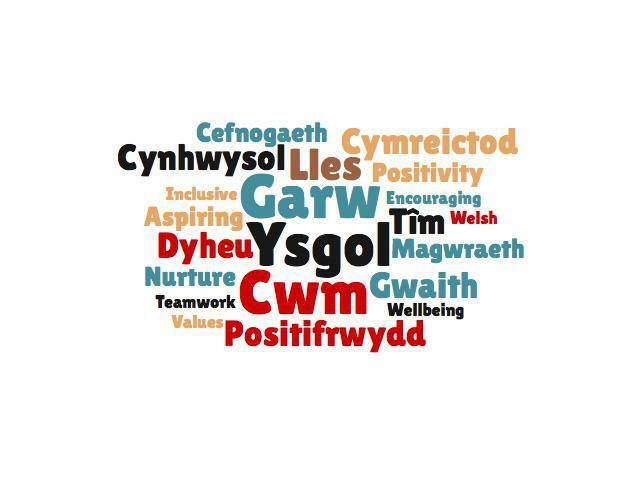 It is our aim at YGG Calon y Cymoedd to create a safe, inclusive and nurturing environment, where pupils and staff work hard, try their best and build positive relationships. In our aim to achieve this, we have devised a set of whole school core values. Each of these values are introduced to pupils in assembly on a fortnightly basis and every class is encouraged to promote and demonstrate each value in different ways. At the end of every fortnight we celebrate the achievements of each class and reward individuals who have made the big- gest effort to foster and display our values. So that you may help us in our efforts, please find below a list of core values and the timescales in which we will be working on each one. We recognise that, in order to develop these qualities, school and home must work together and we are most grateful for your support in helping us to develop a more positive ethos and whole school culture. In order to ensure we have introduced all eight values by the end of the summer term, some values will be celebrated over one week instead of two. You are most welcome to send in pictures or work that show your child demonstrating these values at home so that these achievements can be shared and celebrated in class.